A Vacaville, California man is being held on a $1 million bail after making threats. 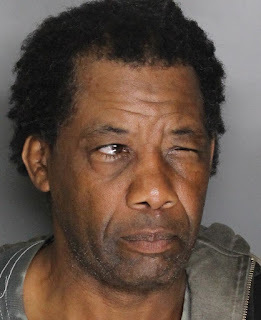 Just before 10 a.m. on Friday, August 3 John Delano Gray (pictured above), 60 approached a person who was walking on Elk Grove-Florin Road near Black Kite Drive in Elk Grove. Gray allegedly threatened the victim with two knifes. After the victim ran away, responding Elk Grove Police officer located Gray a short distance away. Gray is in custody at the county jail and will be arraigned on felony assault charges on Tuesday, August 7.